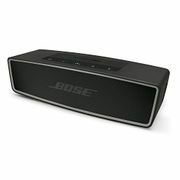 The Bose Soundlink is a wireless speaker which connects to your smartphone, tablet or computer via bluetooth. It can connect to two devices at the same time, and has up to 8 hours of playblack on a single charge. 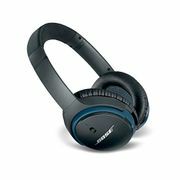 It's stylish with great sound. Our deal hunters keep an eye out for price reductions to help you save money. 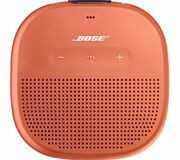 On this page you'll find the latest deals, with a good price being about £65.